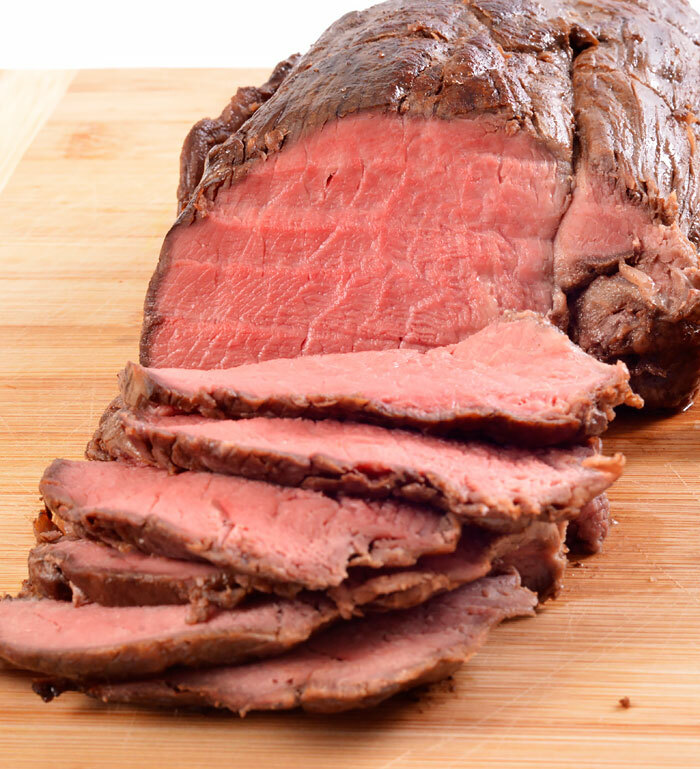 If you like rare roast beef and have always worried that you'll overcook or it will be overdone on the outside, this recipe fixes that. 1 beef tenderloin (beef fillet), sinew removed and tied with string in intervals. The night before, remove sinew from the beef and tie the meat with cooking twine every 1½ inches. Put the beef in a shallow dish and sprinkle the sliced garlic over the top and then pour the balsamic vinegar over everything. Cover and refrigerate. Take the meat out of the refrigerator, remove garlic and pat dry with paper towels. Place meat in a roasting pan and let it sit for 15 minutes to warm up. Put the meat in the oven, close the door and leave it for 4 hours. When four hours is up, heat a skillet on high heat. Remove roast from the oven and brush with oil. Place in the hot skillet and roll it around to caramelize for just a minute or so. Place on cutting board and cover with foil and rest for 15 minutes. Slice and serve with mashed potatoes and gravy or roasted vegetables for a wonderful meal.